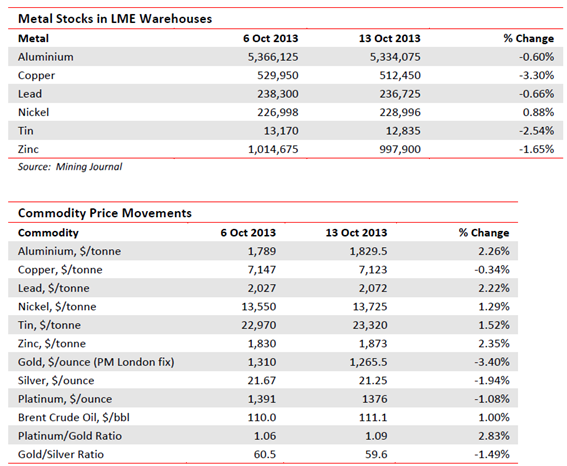 A week which saw warehouse stocks directionless, but a further fall in tin and prices of all bar copper nudge up, also had London hosting “LME Week”. 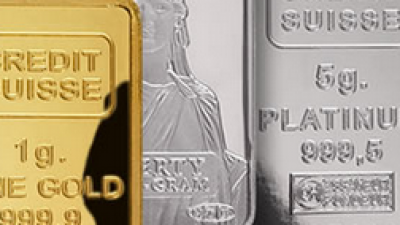 Once a year in come the great and the good whose livelihoods depend on the market for the most important traded base metals, via the world’s largest clearing house, the London Metal Exchange. It culminates n a dinner where traditionally the speakers attempt to outdo each other in the boring stakes. This year it was a bit different because the exchange is now owned by the Chinese. Its CEO, Charles Li, spoke of looking beyond the offering of base metals, partnering with other bourses and increased access to China. Opinions were mixed on the direction of the metals, but most agreed the aluminium surplus will only be corrected by production cutbacks, that nickel, too, has a long term malaise look about it and copper supply, also, has been overdone. The warehousing system rightly came under fire. There are long delays getting materials out and consequently delivery premiums have risen. In the first nine months of 2013, over 3Mt moved in and out. Aluminium. America’s Alcoa (AA.N $8.32; Hi-Lo $9.37-7.64) maintains its position in the top three for bauxite, alumina and refined metal and managed to turn out some credible results for the financial year end. Net income was $24M (2012 loss $134M) on slightly decreased sales. Noted was that the metal price has halved since 2008, so this performance was all about productivity gains. Well done. Back to the LME. Its most valuable contract by value is probably aluminium. It was only launched in the early 1980s. Prior to that the US producer price held sway. It was never very popular since its mechanism was mostly unions asking for a wage increase, management conceding and sticking it on the price. Also, and still persisting, is the nonsensical habit of quoting in dollars per pound weight. With 40Mtpa mined, bought and sold (that is $80 bn) and the swap unit being tonnes, it makes no sense at all. 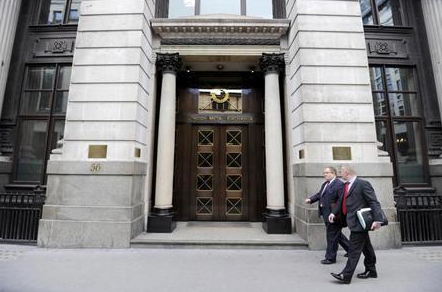 Still, the Chicago Mercantile Exchange or CME intends to launch a rival contract to the London-based one. They have grounds given the recent problems but it could lead to a disorderly market or great arbitrage opportunities. WIM says and we remember: The LME had the good sense to start pricing in dollars, the universal currency. If you, CME do launch, PLEASE make it tonnes and not lbs. If you insist on the latter, why not step-up to the plate with kilograms (don’t miss And Now Some Things… this week). WIM says: Don’t rely on the post. Copper will not go gently. It is nosing into surplus as Chinese demand softens but new developments continue apace. Chile’s CODELCO, at 12% of world output from the second largest producing country (17%) is gearing up. It is stateowned. The government has sold $950M in international bonds, on a 5.775% yield, to help the cash-strapped miner. CODELCO has a $27 bn (no misprint) investment plan to keep it ahead of the game. This year, however, it will only be $4.0-4.5bn. Chile expects to produce c.5.7Mt of copper this year, 5% up on 2012, or 5.53Mt. Peru’s Las Bambas Mine. This country remains a good jurisdiction although the natives are getting a little restless and el presidente has a colourful capitalist history (mining mostly) for a born-again socialist. The country houses the potentially major Las Bambas copper mine, on which we have reported previously. 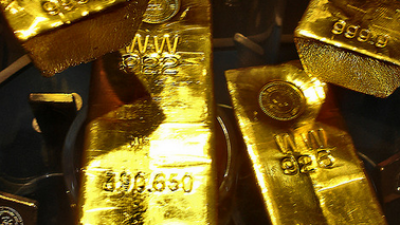 It belonged to Glencore, which has been forced to divest as part of China agreeing to the merger with Xstrata. OK, so far? So it is on the blocks. Well under development, they speak of it being worth $6 bn to date. Open to bidders, the favourites are Chinalco and Minmetals. Wonder where they spring from? Las Bambas is slated to produce 0.45Mt per year in its first five years and 300,000tpa thereafter. That puts it right up there with Antofagasta and Norilsk; also said to be sniffing is Newmont.